Captain Dylan Hartley scored a first-half try and Owen Farrell a late clinching one as England defended resolutely through repeated Australian scoring attacks to beat the mistake-prone Wallabies 23-7 on Saturday and clinch its first rugby series Down Under. Leading 10-7 at halftime, Farrell's penalty goal in the 52nd minute gave England a six-point buffer before his try with four minutes remaining — after Australia's 15th handling error — helped seal the win. The English, who won the first test 39-28 last week in Brisbane, also showed their defensive superiority at the end of the first half when they held firm through more than 20 phases — all after the halftime siren had sounded — when Australia threatened within meters of the England goal line. Farrell finished with 18 points, also kicking two conversions and three penalties, to lead England — which had just one handling error on the night — to only its fifth win in Australia over the Wallabies. It was Six Nations-champion England's eighth win in a row under its new coach, Australian Eddie Jones. With the win, England moved over Australia and into second place in the world rankings, behind New Zealand. The teams play a third test next Saturday in Sydney. "They scored four tries last week, that hurt our pride," Hartley said. "The key focus this week was defense and we put bodies on the line and got some good shots in and kept the score down. We'll enjoy this bit of history right now, but the message is we go again next week and we finish the tour proud." 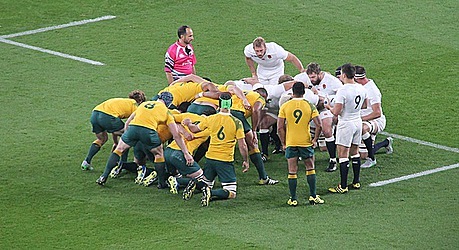 Australia captain Stephen Moore praised England but lamented his side's mistakes. "We've got to own this. 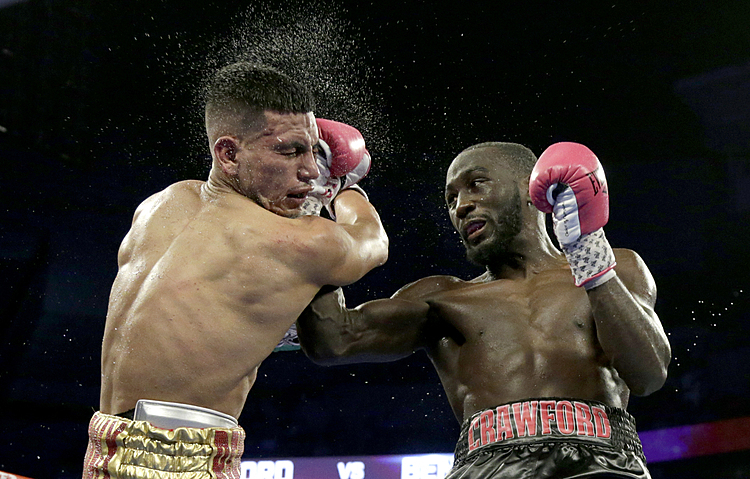 I feel for the fans," Moore said. "England deserved to win both tests and we've got to be better. They defended really well. We made a fair few errors in attack so that was disappointing. We probably didn't build pressure there at crucial times." The stadium turf was in poor shape from the outset, with the grass being torn up from a scrum in the opening minutes. Midway through the first half, stadium workers could be seen trying to repair the turf while play continued elsewhere on the field. Hartley scored his second test try in the 19th minute, moving the final few meters over the line from a rolling maul, and Farrell converted for a 7-0 early lead for the visitors. Farrell put England ahead 10-0 with a penalty goal in the 31st minute after Wallaby Sean McMahon was penalized at the breakdown. 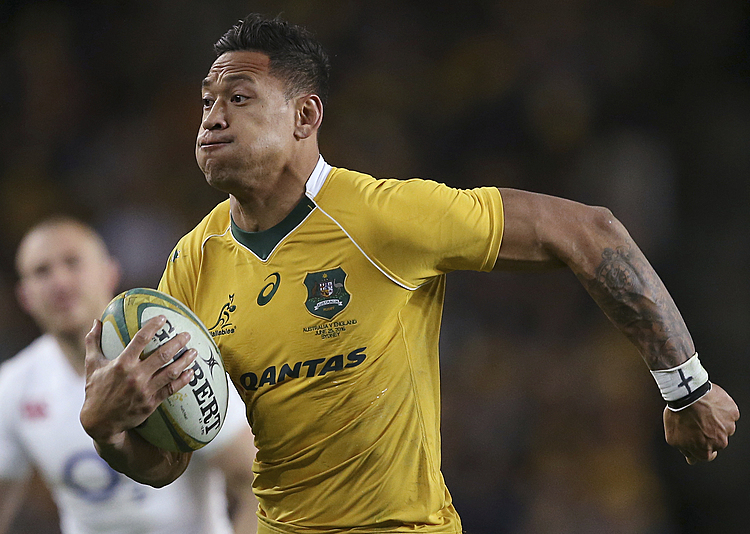 Moore scored his sixth test try, also off a rolling maul, with five minutes left in the half, and Bernard Foley converted, pulling the Wallabies to within three points at halftime. Farrell's penalty goal gave England a 13-7 lead after Foley was penalized by referee Craig Joubert for changing his path and running into Farrell. Farrell completed the scoring in the 80th minute with his third penalty goal of the night, minutes after his clinching try. 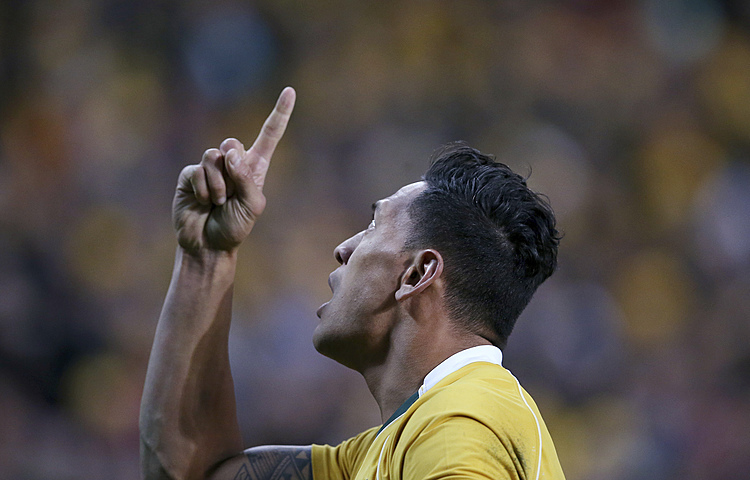 "England defended so well," said Australia fullback Israel Folau. "We'll have to have a good look at ourselves this week."